‘Just One More Step’ Now Available! 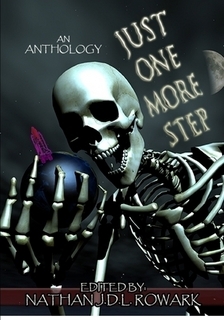 The ‘Just One More Step’ anthology is now available for purchase on Lulu.com, and includes my new story ‘Omnipotence Unbound’. ‘Just One More Step’ is available in quality trade paperback here. The ebook can be purchased here. 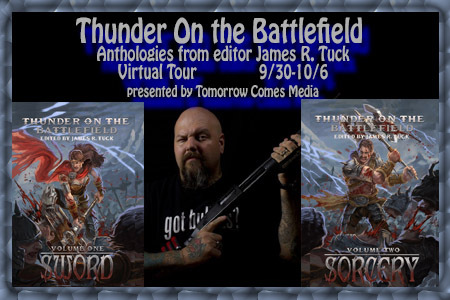 Seventh Star Press has recently released a bumper double-anthology of sword and sorcery stories, edited by James R Tuck and entitled ‘Thunder on the Battlefield: Sword’ and ‘Thunder on the Battlefield: Sorcery’, respectively. My guest post today is from D.T. Neal, author of “The Wolf & the Crow”, published in “Thunder on the Battlefield: Sword”. I’ve had a lot of people ask me about my short story (“The Wolf & the Crow”) in “Thunder on the Battlefield: Swords” – seems that they enjoyed it and wondered if it was part of a larger world. The short answer, of course, is: yes. There’s something compelling about Sword & Sorcery, a certain irreverence that I always find compelling, and tried to communicate that in my story. The Manticore, although you don’t see him in the story, looms large over the piece, as intended. He’s a figure who is the central antagonist in a book of mine, and I liked the world well enough to decide to throw a little taste of it in the form of the short story in the anthology. But why a manticore? I suppose it’s because I like the origin of the name, which stems from Persian language, literally meaning “man-eater” – that amuses me, that the very name of the creature conjures up threat and malevolence and voracity. No bones about it: the manticore will eat you up, if you let it. And because of the hybrid nature of the monster, the classically characteristic merging of human and animal, there was just something intoxicating about that blend that motivated me to make that the central heavy of that book. Which is why having him referred to only in absentia in “The Wolf & the Crow” was all the more appealing to me – the dreadful little tombstone of a town called Barrow, which I conceived as being at the very fringes of the Manticore’s authority, reveals much about life in the Land of the Manticore: corpses hanging from trees bearing writs of law delivered at the point of iron spikes, even in little Barrow. It reveals that this is a being of singular monstrosity and villainy, that a frontier mining town like Barrow does not escape the Manticore’s ruthless and deadly attentions. Though he is not seen, his wicked will is felt throughout. All of the characters in the story, from Farys, the hero, to Rohr and the Priest, to Sibyl and the townsfolk, are all impacted (or have been impacted) by the Manticore. You see the currency of obedience in the form of the loquacious Priest, and Rohr, his Unhuman executioner. You see Farys as one who has fallen from a position of honor by confronting the Manticore in battle, and paid for it in some semblance of disgrace. And you see Sibyl, the witch whose life is in the balance, as someone who represents a threat to whatever it is exactly that the Manticore stands for. And that is key: the Manticore is a tyrant, ruling only for his own pleasure. Farys has the skill and the courage and the inclination to resist this tyranny, turning the Manticore’s own laws against him by means of the duel that he fights for the life of the witch. Sibyl, by being a witch (either in reality or rumor), represents the outsider to the Manticore’s law – he will tolerate no challengers to the authority that he represents. Of course, I leave it open to the reader as to whether Sibyl is actually a witch (she herself denies being one – although I’ll tell you that I always intended that she be a genuine witch, making her rescue by Farys all the more fraught with peril for both of them), but clearly something about her has earned the wrath of the Priest, who is the arm of the Manticore in this faraway place. At any rate, there’s more to be seen from the Manticore in the future, but I hope the taste you get in the anthology entices you. D. T. Neal lives and writes in Chicago. 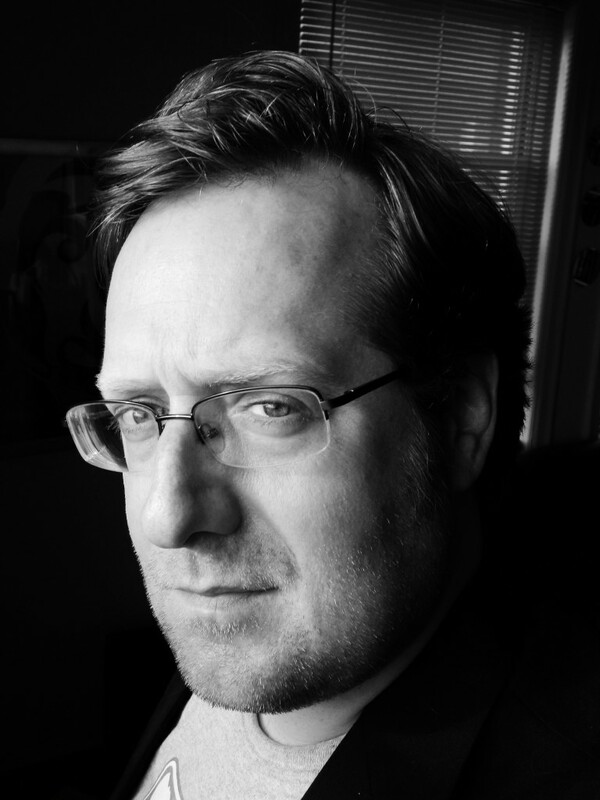 A lifelong Midwesterner with a particular fondness for Rust Belt cities, he writes horror, science fiction, and fantasy stories. He’s been published in Albedo One, Ireland’s premier speculative fiction magazine, and won second place in the Aeon Award in 2008. He’s also published several novels, including “Saamaanthaa” (2011), “Chosen” (2012), “Suckage” (2013), and “The Happening” (November 2013). He’s also published two novellas, “Relict” (2013) and “Summerville” (2013), and is working on several new fantasy and science fiction novels. Check out Thunder on the Battlefield: Sorcery too!